Anonibet is a recognizable brand to many in the Bitcoin gambling world. With the site about to celebrate its 5th year, it is one of the oldest online gaming sites out there that accept Bitcoin. Considering that Bitcoin was launched only seven years ago, being in operation for half a decade makes Anonibet one of the pioneers in the business. To survive this long, Anonibet must have been doing something right. The key is being adaptable to the market. The Bitcoin gambling industry changes with the various trends as the technology improves and the different factors that affect it like market preferences and more. Anonibet recognizes this and has accepted the challenge of keeping up with the times. The new look is just one of the improvements Anonibet has instituted to upgrade the customer experience. When people visit a site, their first impression of it will often influence how they will react to a site. In the past, with Anonibet being one of the few large-scale Bitcoin gambling sites around, unimpressed gamblers would grin and bear it when it comes to the interface and site design. With the increased number of choices, Anonibet has to make itself look good and it has succeeded. The current site’s design is less cluttered and more accessible than the older version. Visitors will be impressed by the clean look and it will encourage them to stay and see what the site has to offer. This cosmetic difference is only one of many changes made by the gambling site to improve the customer’s experience. 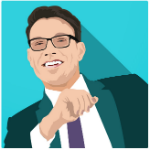 Anonibet has also been changing the game experience. One of its earliest changes was back in 2013, when it allowed live betting to the site. This continued on as Anonibet went beyond its Bitcoin sports betting roots in 2014 and added a casino. 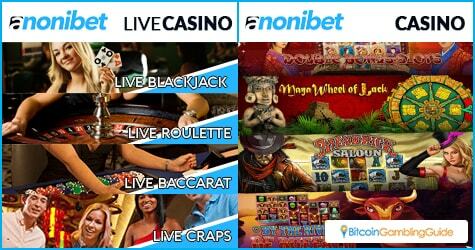 Anonibet did not forget about its sports betting section and increased the amount of sporting events covered. 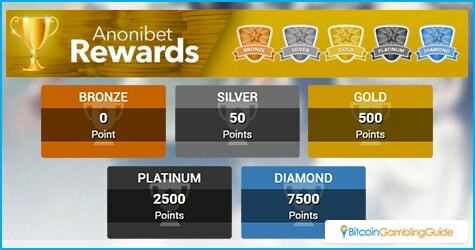 Moreover, Anonibet rewarded its loyal clients by instituting a very generous reward program. Players can now expect to get cash for continually playing in this Bitcoin casino and sportsbook. Every time that a player makes a bet when logged in, they receive points. When they reach a certain level, a cash bonus is released to the player. Unlike normal bonuses, these do not disappear after a certain amount of time. This is a very generous reward program and is a definite draw to many players. These past changes are just the beginning, though. Anonibet wants to stay in the lead of the pack when it comes to online gambling. This means not resting on their laurels. Anonibet patrons can expect more changes to how the site operates as Anonibet seeks to deliver the next level of Bitcoin gambling. Potential improvements can include more betting options and other additions to the game experience. Website changes and optimizations are also expected to happen to make a smoother customer experience. With how Anonibet improves online gambling, there should only be good things in store for those who play on this pioneering Bitcoin gaming site.